“Curtailing [the EPA’s] efforts by placing our regulatory system in a stranglehold will sentence tens of thousands of people to debilitating, respiratory illnesses, adding to the burden of chronic disease in the nation and increased financial burden to the health care system.” said Gary Cohen, president of Health Care Without Harm. But consider the two graphs below. 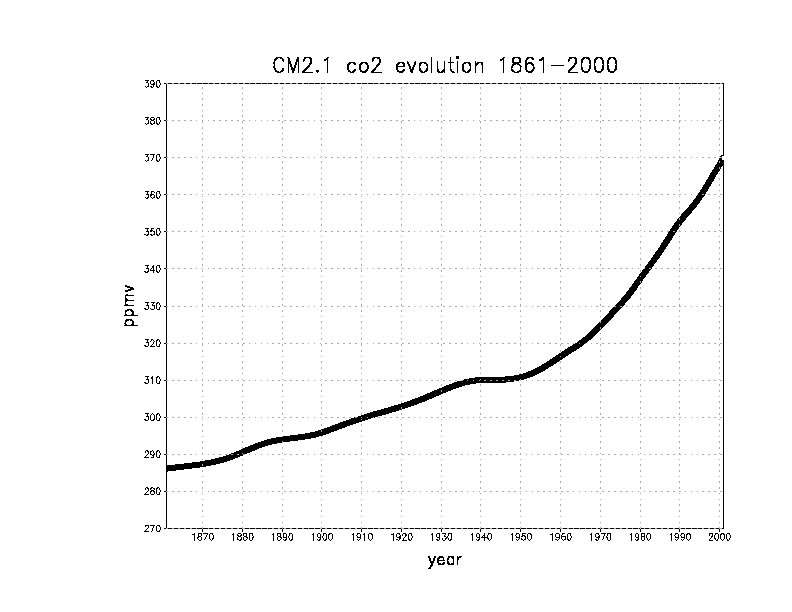 The first charts the change in atmospheric carbon dioxide levels during the 20th century. 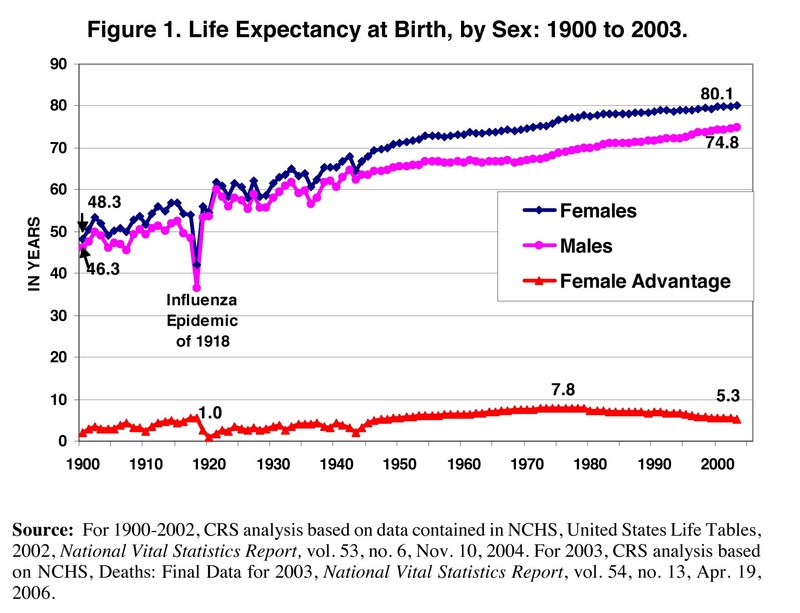 The second charts the change in life expectancy during the 20th century. Note that as CO2 levels increased, so did life expectancy — the best measure of public health. Although correlation does not necessarily equate to causation, we expect that life expectancy correlates very highly with per capita CO2 emissions around the world. Perhaps that’s why HCWH’s media release didn’t present these graphs (or anything else for that matter to back up their claims), preferring instead to stick with ad hominem attack. …an international coalition of organizations dedicated to reducing environmental damage by the health care sector. Connoisseurs of junk science , however, know HCWH as a front group for the radical green agenda. Greenpeace, Beyond Pesticides, Environmental Defense Fund, Natural Resources Defense Council, Physicians for Social Responsibility, Environmental Working Group, and Sierra Club are just some of its “members“. We challenge HCWH to cite a single credible scientific study demonstrating that greenhouse gases pose any threat to human health whatsoever. We define “scientific study” to be an empirical analysis of data published in the peer-reviewed scientific literature — as opposed some conclusory book report like the EPA’s “endangerment finding.” We’ll even accept a case study of someone harmed by greenhouse gases. How hard could that be since tens of thousands have been debilitated by greenhouse gases, according to HCWH? How about it Gary Cohen? This entry was posted on	January 11, 2011 at 6:24 pm	and is filed under 112th Congress. Don’t hold your breath, Gary Cohen is a liar! All of these people are either lying or brainwashed zombies who can no longer think for themselves. 1: 95% of all greenhouse gas is water vapor (clouds) which probably cause more cooling than warming. 2: CO2 accounts for roughly 4% of greenhouse gasses, and for only 4/10ths of one percent of the atmosphere in total. 3: Less than 1/2 of 1% of all CO2, comes from man’s use of hydrocarbon based fuels. That amounts to 16ppm in the atmosphere, or one part in 62,500. To say such a tiny % of the atmosphere is the primary cause of global warming is obviously absurd. When you hear people spouting this nonsense the proper response is: IT’S THE SUN STUPID! 4: Increases in CO2 don’t cause rising temperatures, they’re a result of rising temperatures due primarily to changes in solar activity. The main repository of CO2 is the oceans. As temperatures rise, the solubility of CO2 in water diminishes, causing more CO2 to rise up into the atmosphere. 5: CO2 is NOT a pollutant. Carbon is one of the basic building blocks of life. Humans, and all the other animals, produce CO2 with every breath we take. As CO2 in the atmosphere increases, plant life increases. U.S. forests increased by 40% in the 2nd half of the 20th century. The warmer the earth gets, the easier it is to produce food, which is a benefit to virtually all life forms. 6: The current global warming hysteria is the 4th example of climate hysteria in the last hundred years. The only unnatural thing that could happen to the earth’s climate would be if it stopped changing at all. The alarmists and the media have been wrong each and every time in the past. What should we listen to them now? 7: There have been 2 major climate events in the last 1,000 years, the Medieval Warm Period (from 900 to 1,400AD) and the Little Ice Age (from 1,400 to 2,000). The earth has been warming since the late 1,800’s, but not in a straight line when viewed on a graph. From 1940 to the mid 1,970’s, while man’s use of fossil fuels was growing at the greatest rate, temperatures were going down at an even greater rate. 8: We’re currently entering the 2nd decade of a new cycle of global cooling, and like global warming, it’s primarily caused by changes in solar activity. If we’re going to fear temperature change, we have a lot more to fear from extreme cooling than we do from extreme warming, but since we can’t do anything about it, the only intelligent thing we should do is learn to adapt to it. 9: As the earth cools, crops become harder to grow, and people starve. In order to prevent mass starvation in the event that the current cooling cycle becomes a big one, the first thing we should do is stop putting corn into gas tanks. Corn is vitally important, not just because humans eat corn, but because it’s one of the primary sources of food for cattle, pigs, & chicken. Contrary to what our government tells us, gasoline is in plentiful supply. The government mandate to increase the amount of ethanol we put in our fuel is part of a deliberate effort on behalf of the progressives to decrease human population (see Agenda 21). 10: There are some real environmental problems that we could easily fix with a relatively small percentage of the money we’ve wasted on global warming research. One example that comes to mind is the pollution of the Hudson River with PCB’s by General Electric. A billion dollars can pay for one hell of a lot of dredging! 11: Terms like “carbon footprint” are absolutely meaningless.